From banqueting halls in Dublin to enchanting modern newcomers in Cavan, we check out the wedding venues with the most beautiful reception rooms. The chic, charming function room at The Angler’s Rest reflects the pretty city setting of the venue itself. 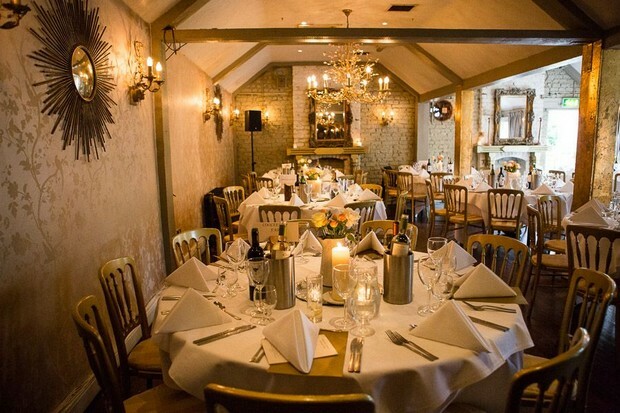 Located in Strawberry Beds beside the Pheonix Park in Dublin, this room can cater for up to 120 guests and has a warm, romantic and intimate atmosphere. For more information on The Angler’s Rest and to read reviews, visit their profile page in the weddingsonline supplier directory. The stunning Marchioness Room in 18th century hunting estate Virginia Park Lodge is the epitome of elegance in an intimate setting. Catering for up to 90 guests, the room takes advantage of streams of natural light to create an airy, modern feel in a luxurious house estate in Cavan. 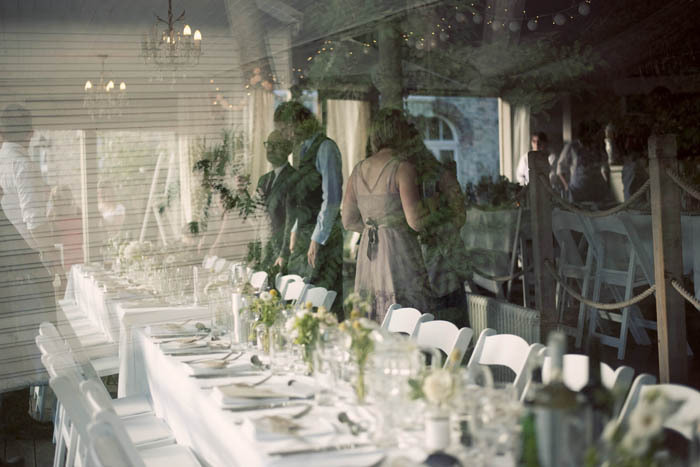 Virginia Park Lodge can also cater for larger weddings of up to 300 in their exclusive lake-view pavilion. To find out more about Virginia Park Lodge and to read reviews, visit their profile page in the weddingsonline supplier directory. If it’s the ‘Wow Factor’ you’re after, the glorious Van Sty ballroom at Luttrelstown Castle is the room for your reception. Magnificent high ceilings create a regal atmosphere, while warm colours and furnishings add a warm, intimate feel. The Van Sty ballroom can accommodate up to 120 guests, while an additional 60 can be catered for with the Kentian Room. To view real bride’s reviews and to find out more about Luttrelstown Castle, visit their profile page in the weddingsonline supplier directory. 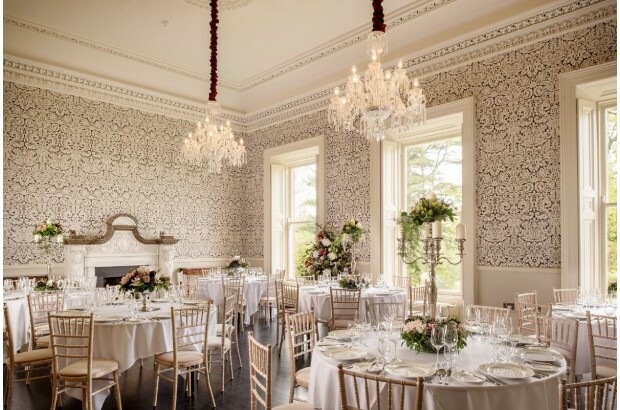 The magnificent Georgian Ballroom at the heart of the Palladian Mansion in Powerscourt House & Gardens is a striking setting for a fabulous, luxurious wedding. 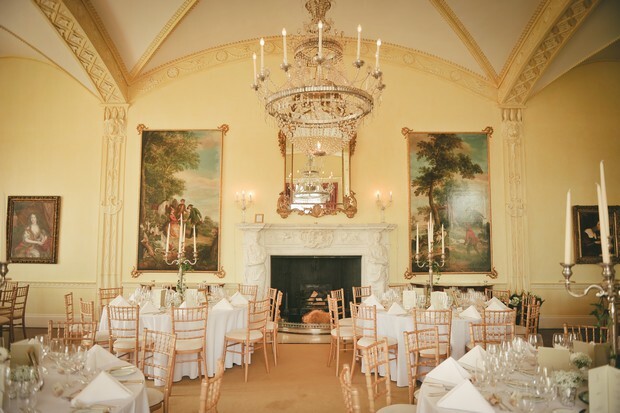 Boasting double height ceilings, stately columns and beautifully ornate plasterwork, the room is a real talking point and is sure to make an impression on even the most discerning of wedding guests! To find out more about the rooms in Powerscourt House & Gardens and to read about real couples’ wedding experiences there, visit Powerscourt House & Gardens in our supplier directory. 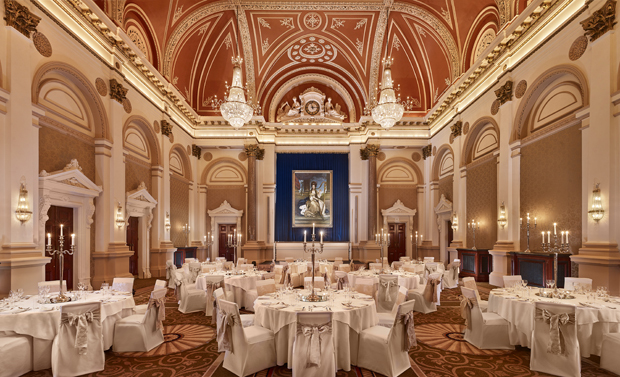 The 19th Century Banking Hall in the stylish setting of The 5* Westin Hotel in Dublin balances a historic, luxurious and stately atmosphere with contemporary style and warmth in a hugely impressive way. 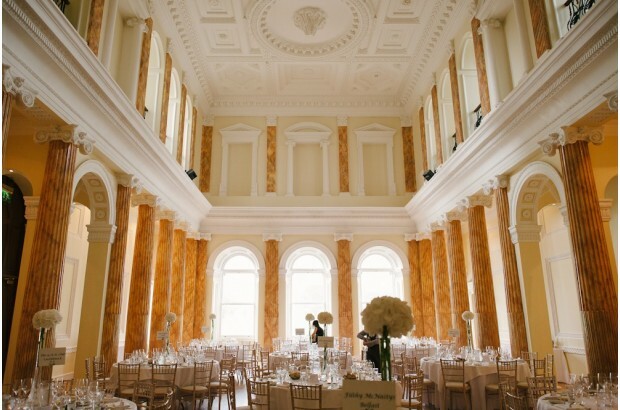 Catering for up to 170 guests, the room incorporates original opulent marble pillars, tall mahogany doorways and chandeliers crafted from 8,000 pieces of Waterford Crystal, all of which add to an altogether elegant feel for a wedding reception. For more details on weddings at The Westin Hotel, visit their profile page in our supplier directory! 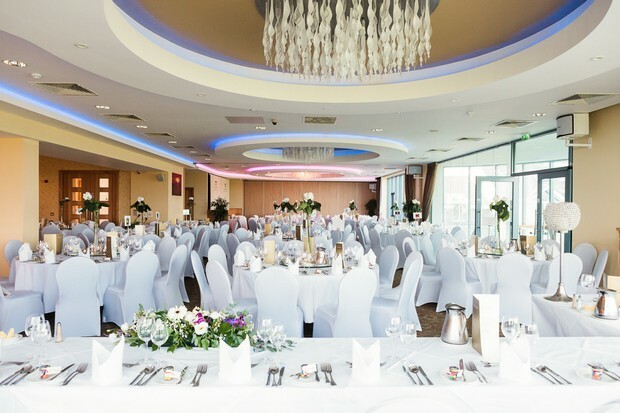 Ultra modern and thoroughly stylish, the sun-filled Dillon Room with panoramic views of Lough Ree and the surrounding countryside is an idyllic setting for a wedding reception any time of the year. The Dillon Room can cater for up to 300 guests. To find out more about The Dillon Room and Glasson, visit Glasson Country House Hotel in our directory. 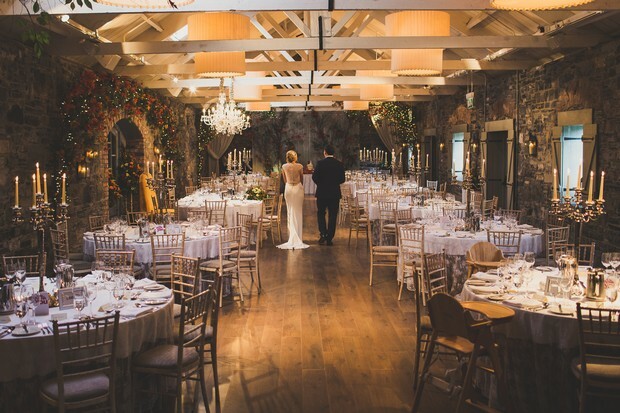 Warm, stylish, inviting and atmospheric, the restored Flax Mill at the 18th Century Village at Ballymagarvey with its twinkling lights and exposed brick walls and beams is a magical setting for an Irish wedding. Ballymagarvey can cater for up to 220 guests and books out for weddings very quickly! 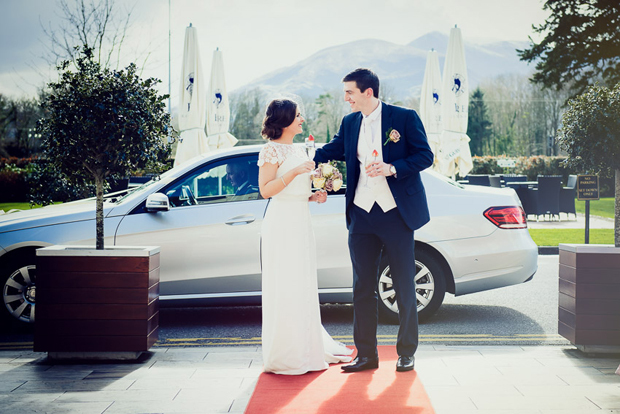 For more about Ballymagarvey and to read real wedding reviews, visit their profile page in the weddingsonline directory. The Capel Suite at the stunning Castlemartyr Resort provides an exquisite contemporary setting for receptions in a historic backdrop, perfectly blending the old with the new. Among Castle ruins, within the manor house, and surrounded by lake and surrounding woodlands, this modern ballroom is bright and impressive, boasting double height ceilings and reams of sunlight, and can host up to 220 guests. For more about Castlemartyr Resort, visit Castlemartyr Resort in our venue directory. The magical and romantic Millhouse in Meath is a beautiful alternative wedding venue for those looking for something truly unique as the backdrop to their Big Day. 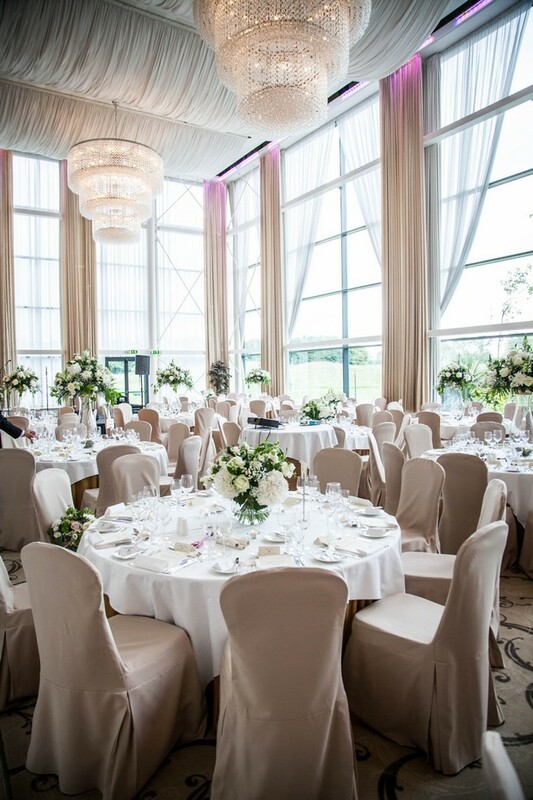 Receptions at The Millhouse are held in the Grand Pavillion, a bright, airy, modern and comfortable room which provides the perfect setting for a thoroughly bespoke wedding. To view real weddings, read reviews and find out more about The Millhouse, visit their profile page in the weddingsonline venue directory.